In addition to individual image components, each environment set offers a high resolution tile-set in two common perspective variations for the core of the foreground layer, which can be scaled down to fit the needs of your specific game project's tile size requirements. BrashMonkey's Environment Art Packs are unique, because they include several Spriter animated props to further bring your lush cartoon landscapes to life! 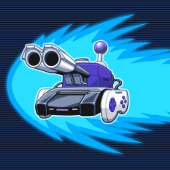 You can either used these Spriter files in conjunction with one of the many Spriter run-time API's to have silky-smooth tweened animations playing back in you game, or you can export the animated props as full frame images or sprite-sheets at any scale and frame-rate you desire. 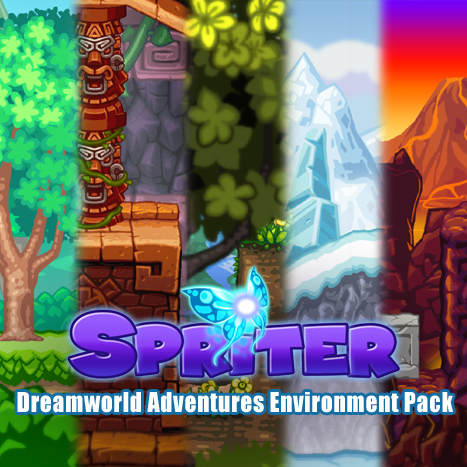 Make your video game worlds come to life, with BrashMonkey's Dreamworld Adventures Environment Art Pack!